Patricia Ann Walker passed away at her home on Tuesday, April 11, 2017 in Tonkawa, Oklahoma at the age of 76. She was born on September 14, 1940 to Nancy and Charles Nelson and raised in Oakland and the Stockton area of California. She worked for 42 years in the health care field. Patricia had three children: Wayne, Denise, and Stephen. She also had two grandchildren, Dearma and Dannielle and two great-grandchildren, Deane and Rylee. 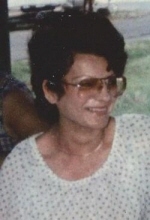 She married Dale Walker and moved to Tonkawa in 1972. She enjoyed paining, music, and gardening. She loved to sit on her back porch and watch nature, especially the birds. Her family also has fond memories of watching nature with her. She was preceded in death by one sister, Arlene, one son, Wayne, one daughter, Denise, and a granddaughter, Trista. A funeral ceremony for Patricia will be held at 10:00 a.m. on Friday, April 14, 2017 at the Trout Funeral Home Chapel in Tonkawa, Oklahoma. Burial will follow at I.O.O.F Cemetery in Tonkawa. To send flowers or a remembrance gift to the family of Patricia Anne Walker, please visit our Tribute Store. "Email Address" would like to share the life celebration of Patricia Anne Walker. Click on the "link" to go to share a favorite memory or leave a condolence message for the family.